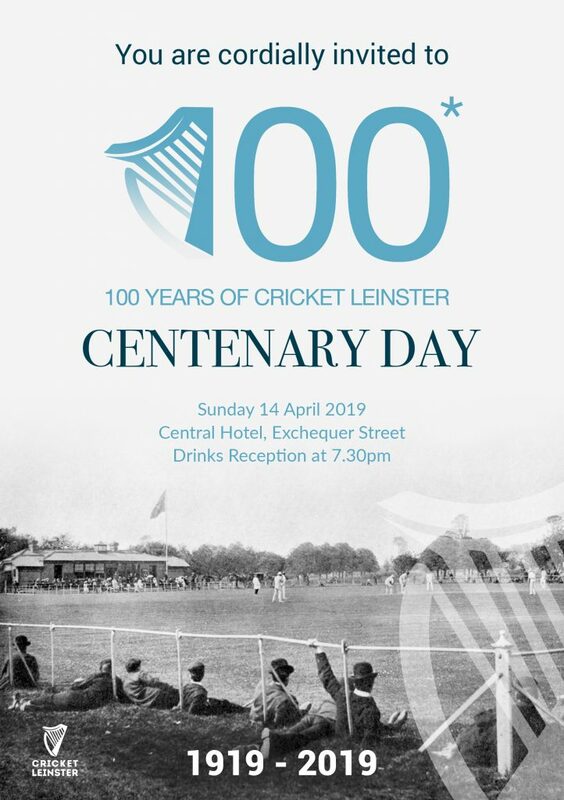 As you know, we are fast approaching the actual Centenary Day of the foundation of the Leinster Cricket Union which is Sunday 14th April 2019. Whilst we have many events planned for the year itself, we have given some thought on how the day itself should be marked - accordingly all clubs are invited to an informal reception - where it all started - at the Central Hotel in Exchequer Street, Dublin 2 . Centenary Day – Sunday 14 April 2019 (Central Hotel, Exchequer Street)- Open Invitation to all Clubs to an informal reception to mark the occasion.